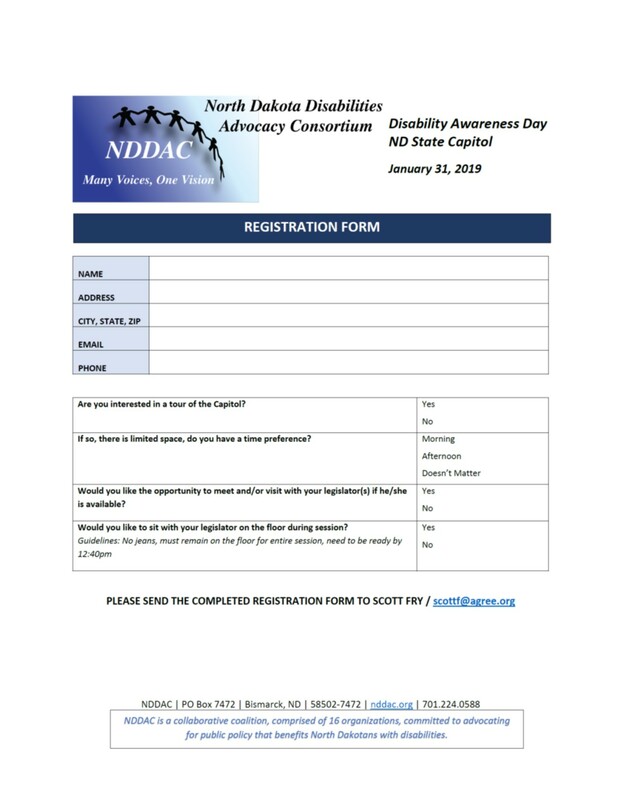 Updated Disabilities-related Legislation from the 2019 Legislative Session! Click the URL below to see the latest "1.18.19 Legislative Grid". Consumer Family Network Fundraising Committee would like to share the following letter with you. Happy New Year! The 2019 Legislative Session is set to begin tomorrow! In preparation for this, the first review of pre-filed bills has been completed. Attached you will find the “GRID” which includes those bills that are disability-related. Mental Health Advocacy Network (MHAN) invites you to participate in a North Dakota Mental Health Survey. The mental health survey will be active until the 15th of October. This survey is being distributed to consumers, families, and professionals to collect perceptions regarding the quality, satisfaction and needs of North Dakota's behavioral health system. MHAN’s mission is to advocate for a consumer/family driven mental health system of care that provides an array of service choices that are timely, responsive and effective. 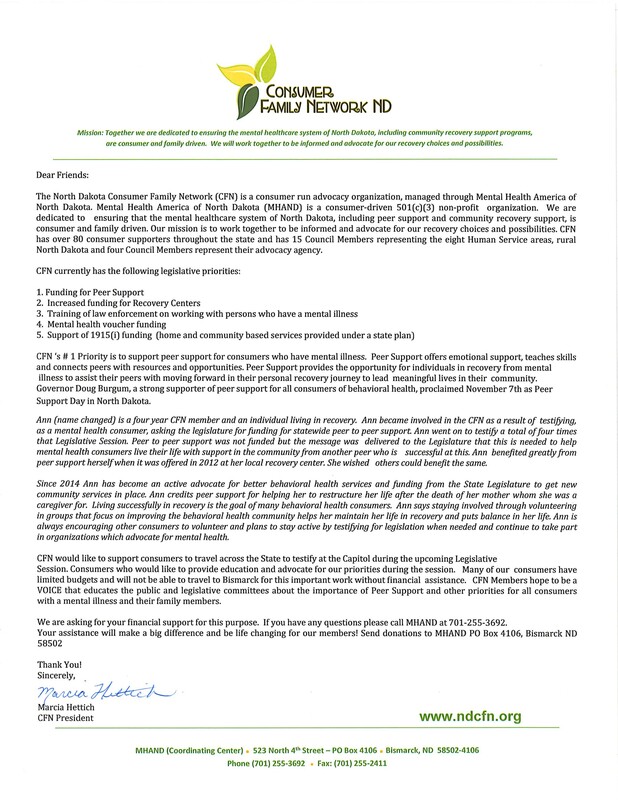 Mental Health advocates from across North Dakota have joined forces to form MHAN to assure that consumer and family voices are included in addressing the critical gaps in mental health treatment services in the state. MHAN is looking to gather data so that we can better advocate for change and improved care in the great state of North Dakota. The survey is anonymous. The only personal details collected are those that the respondent willingly shares.